If you keep a close eye on an MRI scan of the brain, you&apos;ll see a wave pass through the entire brain like a heartbeat once every few seconds. This ultra-slow rhythm was recognized decades ago, but no one quite knew what to make of it. MRI data are inherently noisy, so most researchers simply ignored the ultra-slow waves. 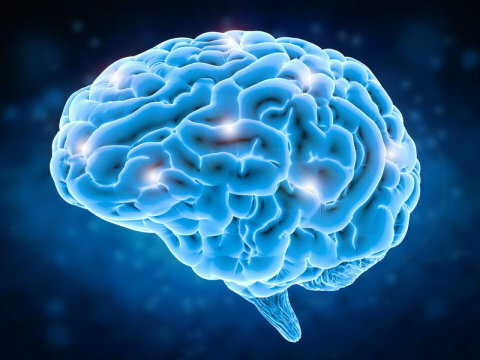 "Your brain has 100 billion neurons or so, and they have to be coordinated," said senior author Marcus Raichle, MD, the Alan A. and Edith L. Wolff Distinguished Professor of Medicine and a professor of radiology at Mallinckrodt Institute of Radiology at the School of Medicine. "These slowly varying signals in the brain are a way to get a very large-scale coordination of the activities in all the diverse areas of the brain. When the wave goes up, areas become more excitable; when it goes down, they become less so." In the early 2000s, Raichle and others discovered patterns of brain activity in people as they lay quietly in MRI machines, letting their minds wander. These so-called resting-state networks challenged the assumption that the brain quiets itself when it&apos;s not actively engaged in a task. Now we know that even when you feel like you&apos;re doing nothing, your brain is still humming along, burning almost as much energy daydreaming as solving a tough math problem. Using resting-state networks, other researchers started searching for -- and finding -- brain areas that behaved differently in healthy people than in people with brain diseases such as schizophrenia and Alzheimer&apos;s. But even as resting-state MRI data provided new insights into neuropsychiatric disorders, they also consistently showed waves of activity spreading with a slow regularity throughout the brain, independently of the disease under study. Similar waves were seen on brain scans of monkeys and rodents. First author Anish Mitra, PhD, and Andrew Kraft, PhD -- both MD/PhD students at Washington University -- and colleagues decided to approach the mystery of the ultra-slow waves using two techniques that directly measure electrical activity in mice brains. In one, they measured such activity on the cellular level. In the other, they measured electrical activity layer by layer along the outer surface of the brain. Instead, the researchers found that the ultra-slow waves spontaneously started in a deep layer of mice&apos;s brains and spread in a predictable trajectory. As the waves passed through each area of the brain, they enhanced the electrical activity there. Neurons fired more enthusiastically when a wave was in the vicinity. "There is a very slow process that moves through the brain to create temporary windows of opportunity for long-distance signaling," Mitra said. "The way these ultra-slow waves move through the cortex is correlated with enormous changes in behavior, such as the difference between conscious and unconscious states." The fact that the waves&apos; trajectory changed so dramatically with state of consciousness suggests that ultra-slow waves could be fundamental to how the brain functions. If brain areas are thought of as boats bobbing about on a slow-wave sea, the choppiness and direction of the sea surely influences how easily a message can be passed from one boat to another, and how hard it is for two boats to coordinate their activity. "If you look at the brain of someone with schizophrenia, you don&apos;t see a big lesion, but something is not right in how the whole beautiful machinery of the brain is organized," said Raichle, who is also a professor of biomedical engineering, of neurology, of neuroscience and of psychological and brain sciences. "What we&apos;ve found here could help us figure out what is going wrong. These very slow waves are unique, often overlooked and utterly central to how the brain is organized. That&apos;s the bottom line."